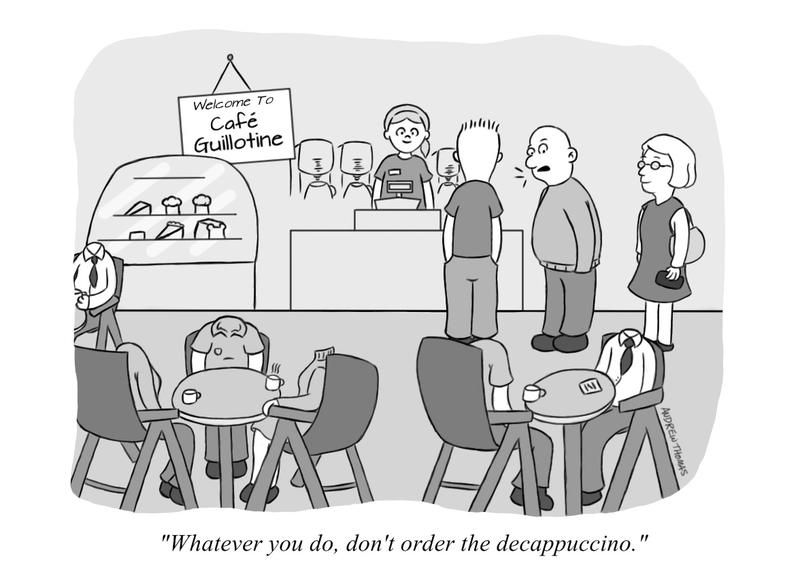 Decappuccino Version 1, by Andrew Thomas. Decappuccino Version 2, by Mustafa Kandaz. Last month, in the weeks before Christmas, my son Quinn coined a term for a new kind of espresso drink while I was making my morning brew – the decappuccino. We chuckled about it, and imagined what the (potentially deadly) effects might be of consuming such a drink. 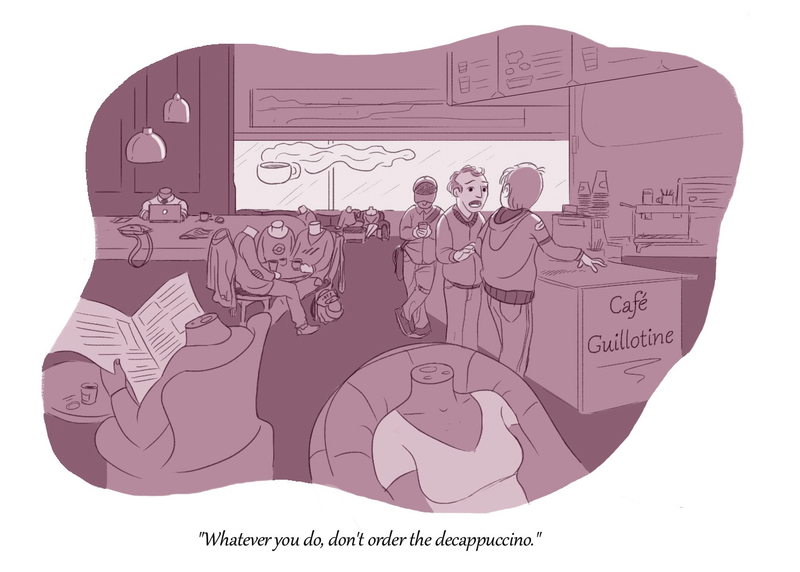 As the day wore on, I found myself continuing to think about the decappuccino, and an image of a New Yorker style cartoon depicting a cafe scene with headless patrons popped into my head. Lacking the artistic skills to produce this on my own, I decided to ask the interwebs for help via Twitter. Looking for a cartoonist to draw a single-frame New Yorker style cartoon for me. Will pay for the work / talent. I got a handful of responses, and two artists engaged with me, both of whom did a fantastic job making my imaginary comic a reality. Within a few days (and for less than $100), I had two high quality versions of my comic ready in time to give them to my son as a Christmas gift. He really enjoyed the present, since it was both something he had a hand in creating, and because it was completely unexpected.